An OIG analysis of telemedicine claims made to CMS between 2014 and 2015 finds that nearly a third did not meet Medicare requirements. The biggest claim error stemmed from violations of the program’s originating site rule, which states that providers will only be reimbursed for virtual treatment of patients living in rural areas. CMS paid out $3.7 million for the erroneous claims. CMS broadened its telemedicine reimbursement criteria to include several new categories at the beginning of 2018. Hutchinson Clinic (KS) will implement technology-enabled RCM services from Meridian Medical Management across its 118 multi-specialty provider group. Drchrono adds automated online appointment review request messaging from BirdEye to its EHR. 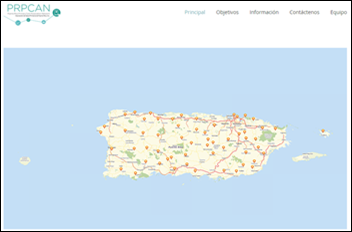 The Puerto Rico Primary Care Association Network offers its members – a number of whom are fax-reliant physicians who have not yet implemented EHRs – data exchange capabilities from Health Gorilla. In an effort to better connect clinical and social service providers, United Way of North Carolina will integrate its NC 2-1-1 patient referral and management system with care coordination software from United Us. Ryan White (DaVita) joins Integrated Oncology Network as EVP, corporate compliance officer. Behavioral health-focused practice management company Remarkable Health names Chad Camac (ManagementPlus) EVP of growth and Amber Bollinger (Ace Asphalt of the Southwest) VP of people operations. 1.800MD adds behavioral health to its line of telemedicine services. Nearly a third of larger physician practices expect to replace their EHRs within three years due to optimization issues, according to new research from Black Book. Those looking for replacements put financial analytics, compliance and quality tracking, virtual visit support, and speech-recognition at the top of their shopping lists. Smaller practices facing EHR-induced frustrations attribute them to an inability to optimize their systems to leverage advanced features like secure messaging, decision support, and data sharing.